The weekend is fast approaching and instead of cruising around home having brunch at the same café and swimming at the same beach, many of us crave an escape from the ‘bubble’. Does this sound like an all too familiar situation? Well, you’re not alone! There are so many of us pining a city escape, yet when it comes to the crunch a lot of us choose to stay at home because its ‘too hard’ or there is no knowledge of what lies beyond the suburban boarders. The very reason why I started Mister Weekender was to change people’s perceptions of the traditional getaway and to encourage people to travel as often as possible. No, you don’t need to spend a lot of money. No, you don’t need a car. No, you won’t get bored. Yes, you can go camping. Yes, you can have a great time. Yes, the fresh air will do you a world of good. My formula for a getaway is simple – research and go. Whether you’re rolling solo (check out my tips for solo travel here and here) or travelling with a group of friends – organising a getaway it’s really simple! For those looking for a winter weekender and living in Sydney, why not head to Terrigal and stay at the Crowne Plaza for the perfect coastal getaway! Only 90 minutes north of Sydney, Terrigal is a local favourite tucked behind a vista of coastal cliffs, and offers plenty of activities and indulgences all year round. 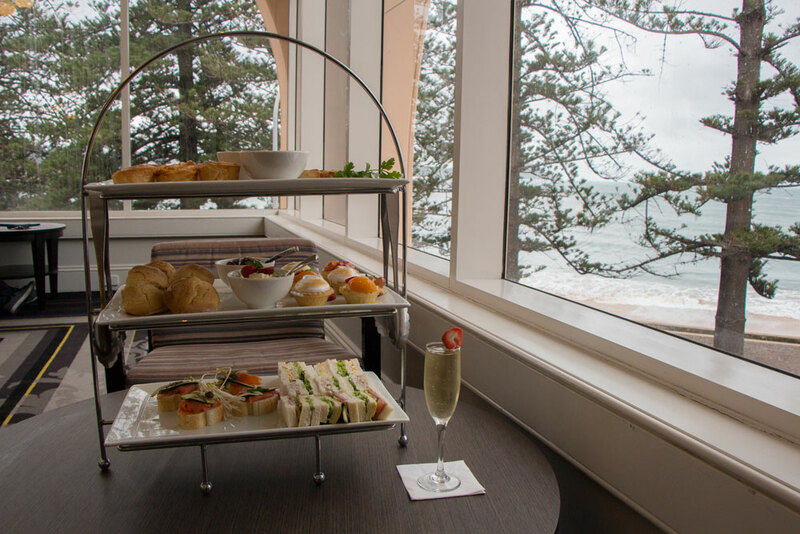 Crowne Plaza Terrigal boasts two restaurants and bars, a heated outdoor swimming pool with sweeping views of Terrigal Beach and a state of the art health club. It’s prime location is blessed with pristine beaches, a stunning coastline and lush bushland, as well as premium shopping, high-class eateries and famous Central Coast attractions. Terrigal is where it’s at! I recently stayed at the Crowne Plaza for a weekend escape. I loved getting out of the city, but I also loved still being super close to Sydney. It was a win win weekend all round! The weekend was fantastic – lots of hot bubble baths (a must in winter) in my huge bath tub, watching television from my ocean view room, indulging in high tea for one at the Lord Ashley lounge, and filling my tummy with delectable three course dinners at SeaSalt. Admittedly I had to tear myself away from the hotel because what’s the point of a weekender if you don’t explore your surrounds! I went horse riding at Glenworth Valley, a hike to Somersby Falls and drove up to the top of Crackneck Lookout. Notably, the horse ride, hike and lookout were located within 30 to 45 minutes of the Crowne Plaza, which is nice because sometimes I really don’t want to drive and drive and drive on a getaway.